Dav Pilkey, the worldwide bestselling creator of Captain Underpants, is back with the newest Dog Man book, with a three million-copy first printing. In time for the dog days of summer and back to school, renowned Captain Underpants creator Dav Pilkey is back with the newest book in Dog Man, his latest global bestselling series. 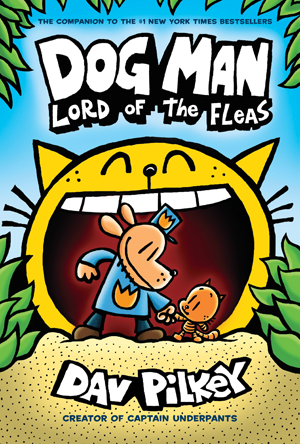 Dog Man: Lord of the Fleas will be published worldwide on August 28th with a 3 million copy first printing, a triple increase from a previously announced 1 million copies, putting it in the rare company of such blockbuster hits like Harry Potter. Dav Pilkey will also hit the road on a multi-city “Howl with Laughter” book tour across the United States and Canada this fall, appearing at large-scale events and community-wide reading celebrations. To see the tour schedule and for more information, click HERE. USA Today has called Dav Pilkey “the savior of the reluctant reader.” Diagnosed with dyslexia as child, he has long been a hero to parents and teachers for his uncanny ability to inspire struggling readers to enjoy reading. “Growing up with learning challenges in school, I’ve been fortunate to have had the encouragement and support of my parents who let me pick whatever book I wanted to read which helped me to associate reading with fun. Reading without judgment was a turning point in my life.” Pilkey said in a statement released by Scholastic. The illustrated Dog Man series launched to rave reviews and skyrocketed to the bestseller list when it was published in fall 2016. It follows the adventures of a superhero who is part dog and part policeman. 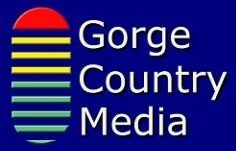 With each Dog Man book, readers see the growth and development of the main characters George and Harold through their comics. Their artwork, grammar, as well as their spelling improves as the series progresses. The Dog Man books also tackle many universal themes including empathy, persistence, and the importance of being true to one’s self. 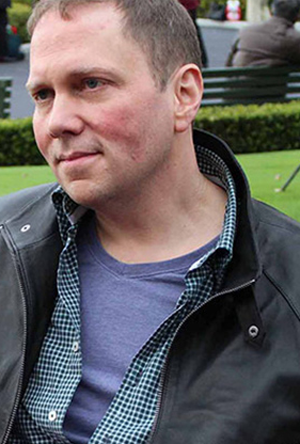 Dav Pilkey is best known for Captain Underpants which has sold more than 80 million copies worldwide in its 20 years of existence. In 2017, DreamWorks Animation released an animated feature film based on the books, and Netflix recently launched The Epic Tales of Captain Underpants, a new animated series. About the Author: When Dav Pilkey was a kid, he suffered from ADHD, dyslexia and behavioral problems. Dav was so disruptive in class that his teachers made him sit out in the hall every day. Luckily, Dav loved to draw and make-up stories. He spent his time in the hallway creating his own original comic books. In the second grade, he created a comic book about a superhero named Captain Underpants. He’s been creating comics eversince. In addition to his wildly popular Captain Underpants series, his numerous other books include the bestselling Ricky Ricotta series, The Paperboy which won a Caldecott Honor and Dog Breath, winner of the California Young Reader Medal. For more information visit www.planetpilkey.com .